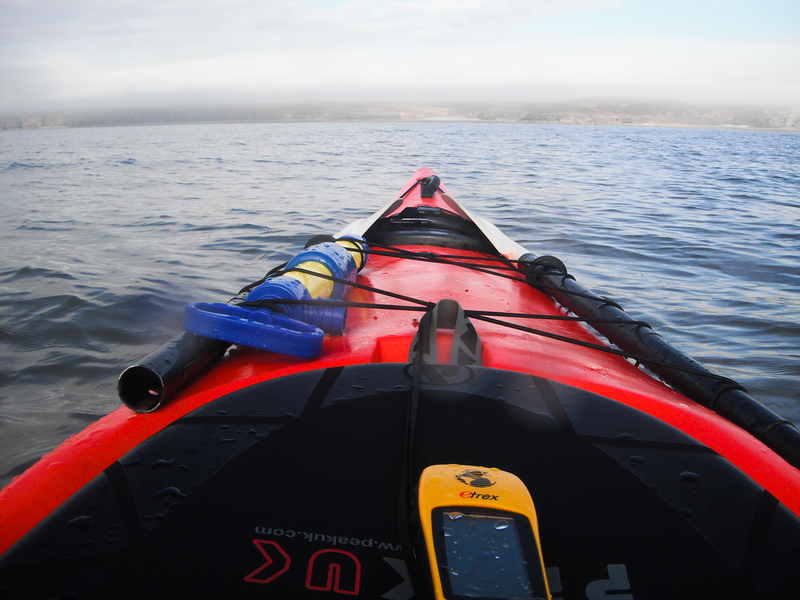 Approaching St Donats a sea mist roll's in & we're contemplating landing in big surf as the swell feels the bottom of the beach. 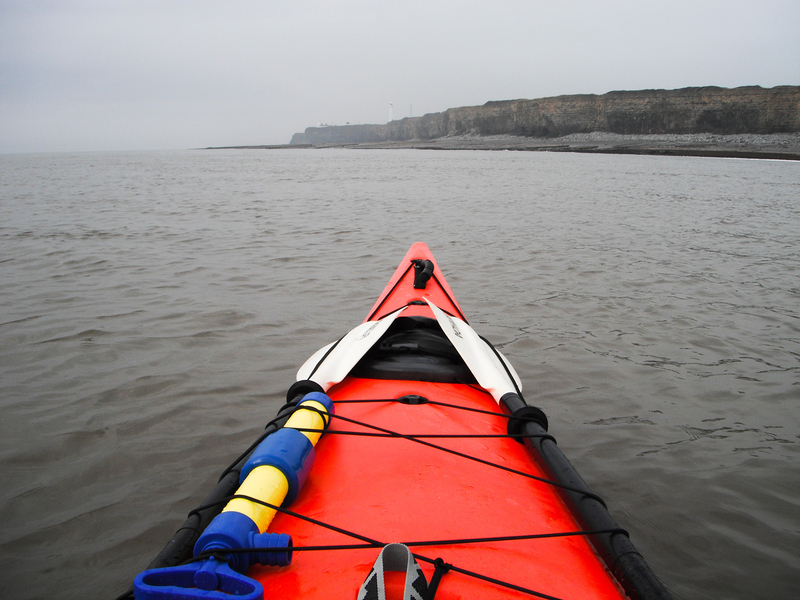 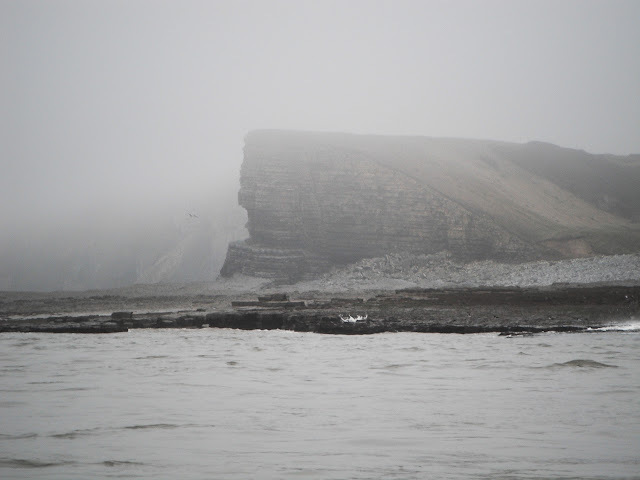 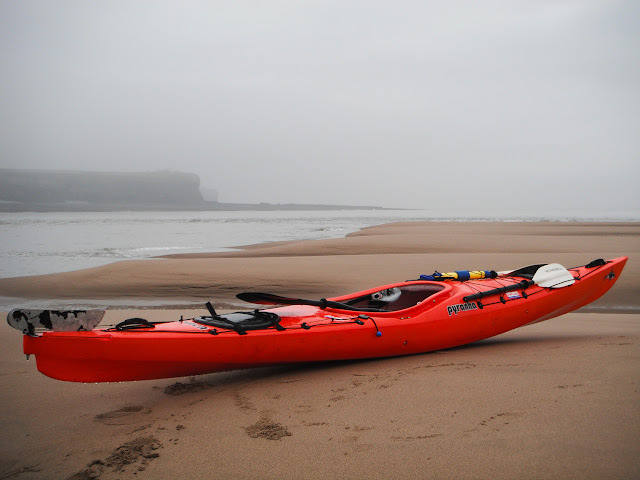 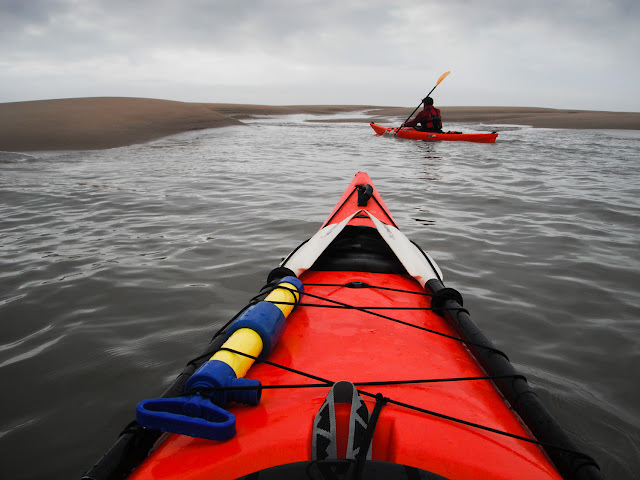 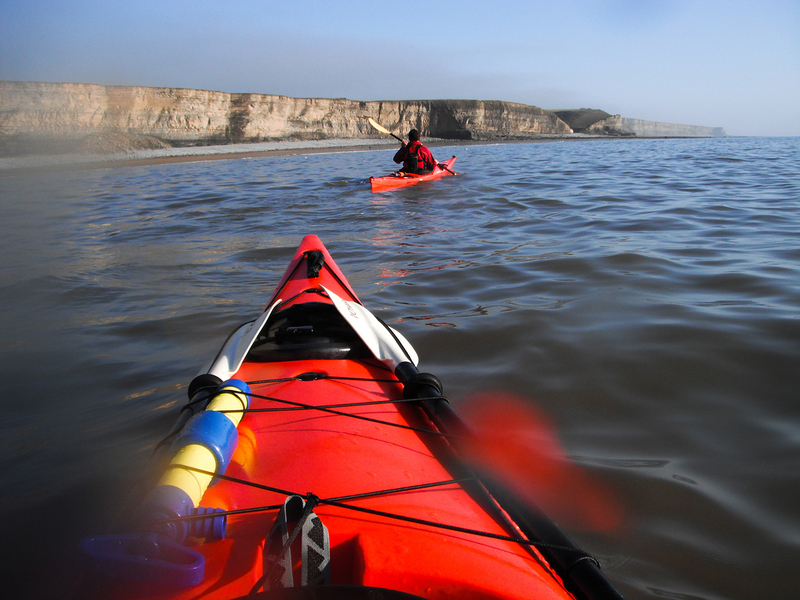 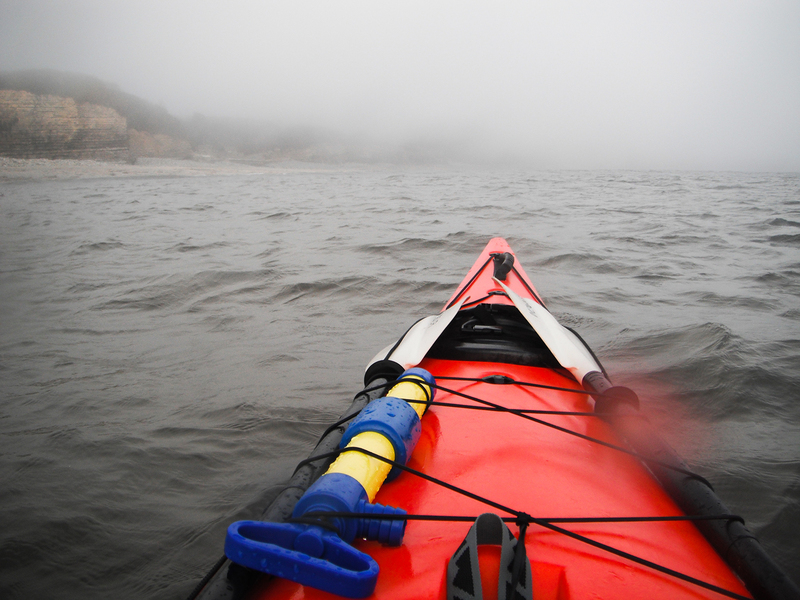 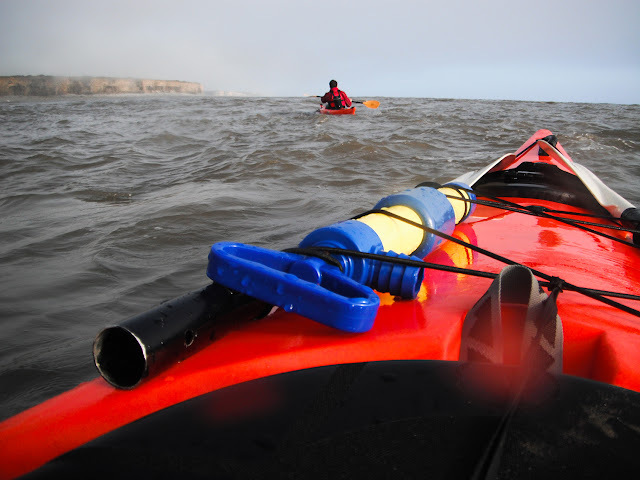 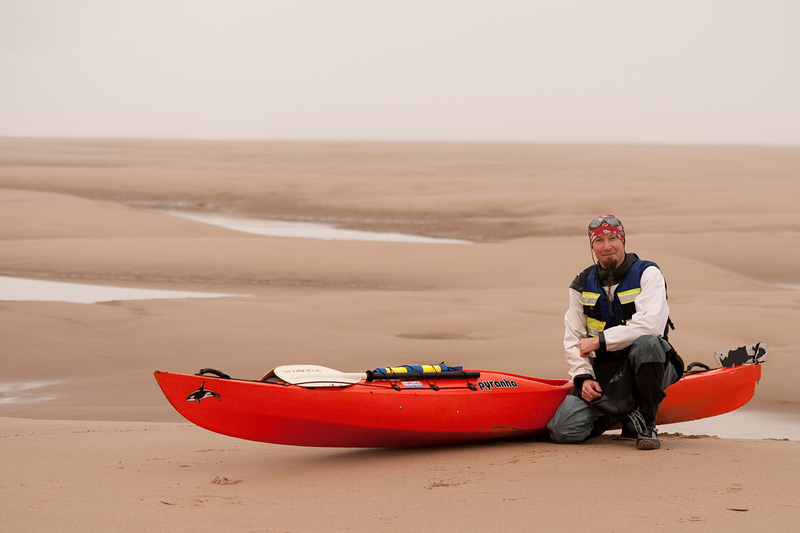 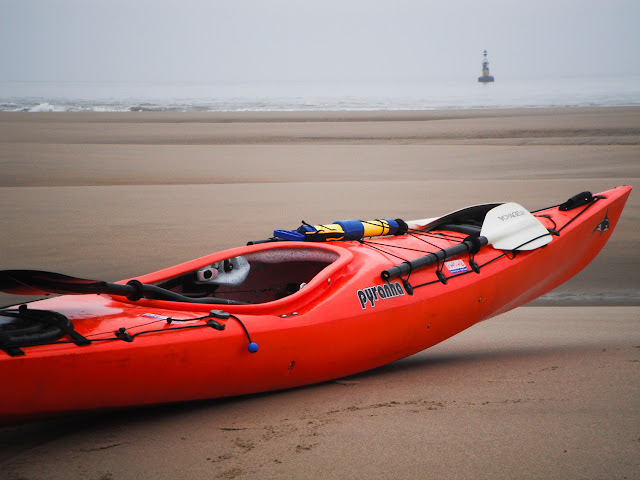 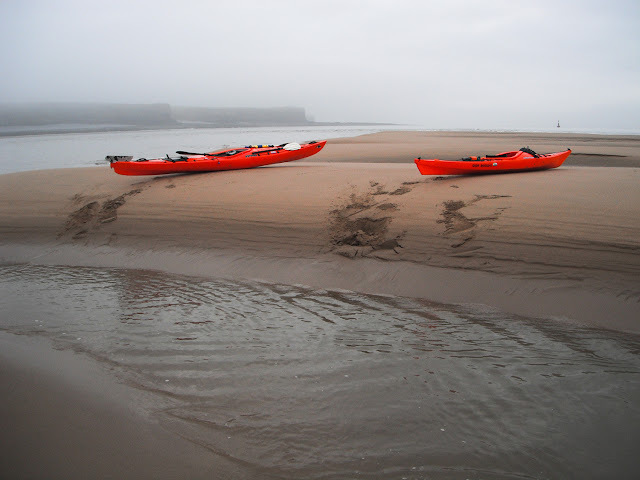 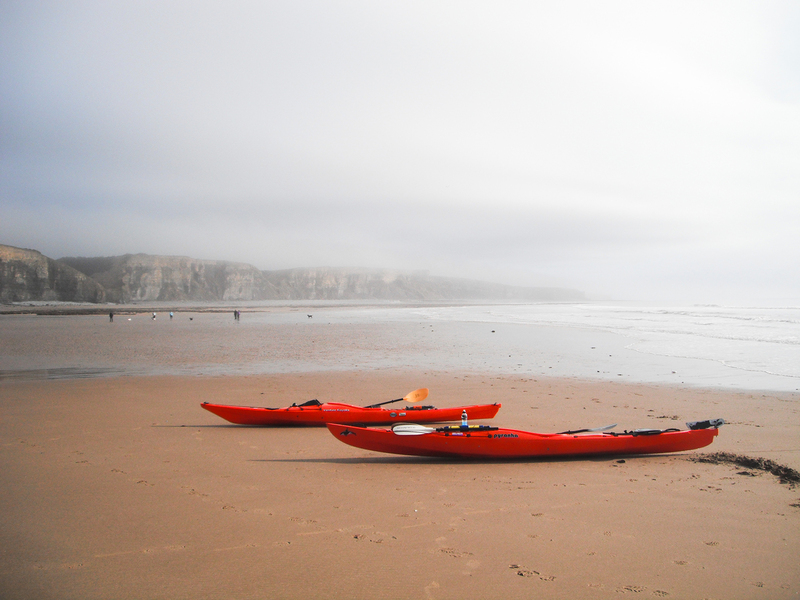 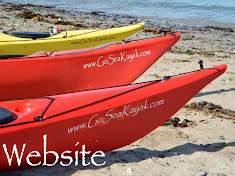 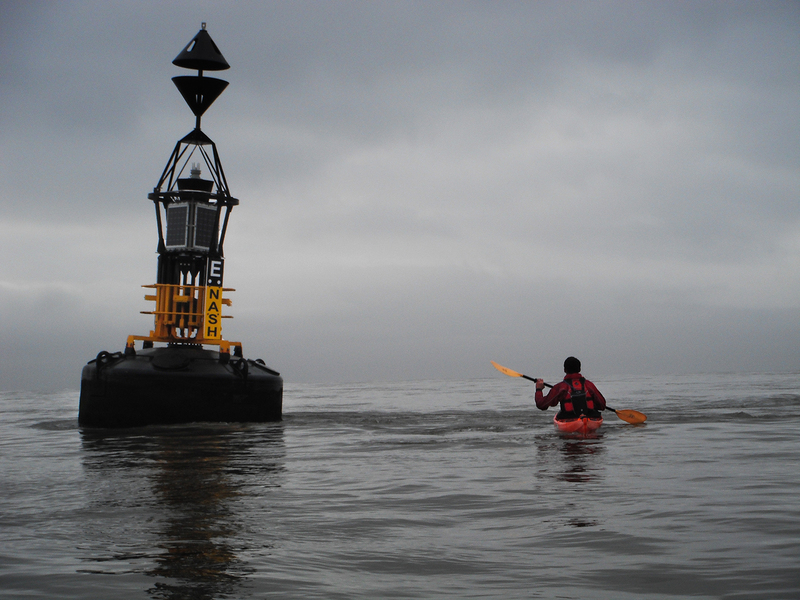 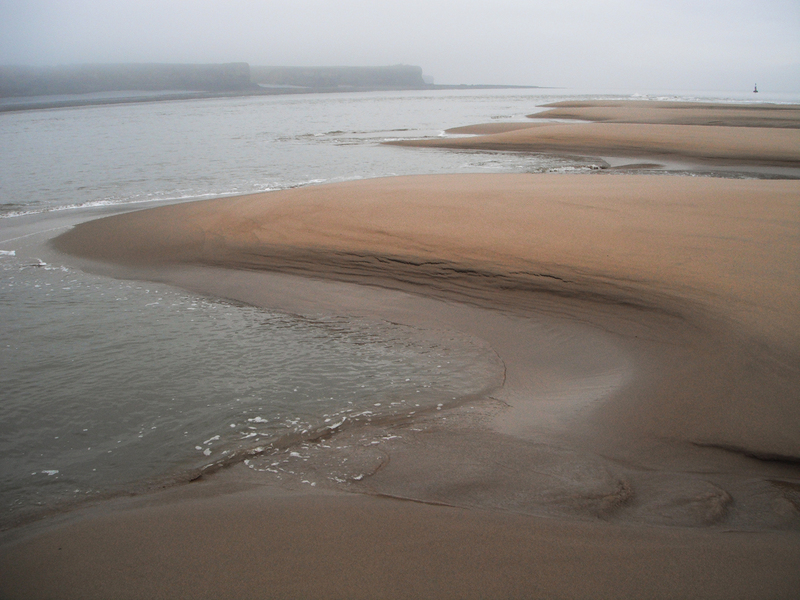 Arriving at Llantwit I notice the really big waves were followed by a period of smaller ones & tentatively I make my move, paddling hard for the shore. 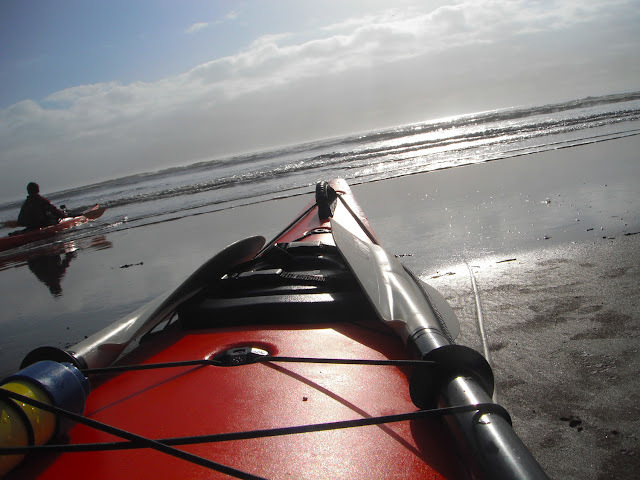 Surfing with style on a wave, leaning on the paddle, I'm gonna make it, I thought I had made it, then(bugger) the wave reared up & spat me out. 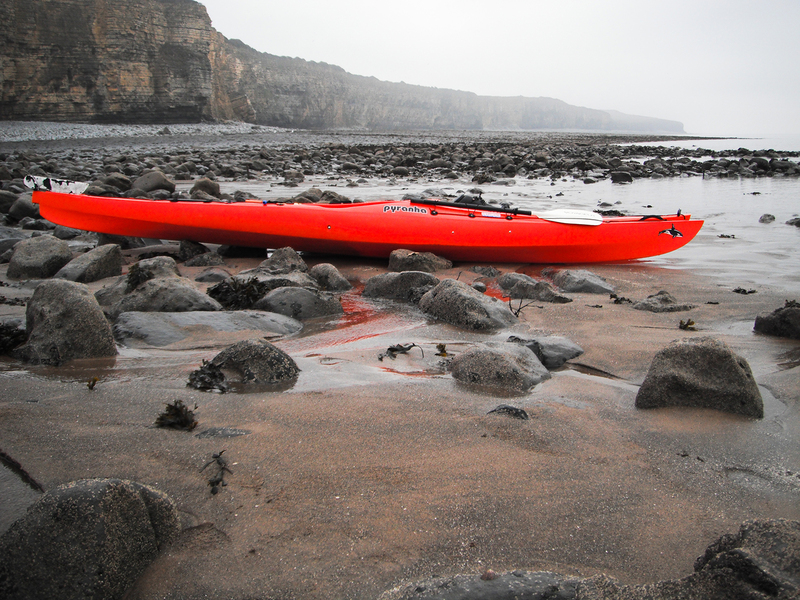 I look back & see Stuart looking for a quieter landing spot, not a bad idea. 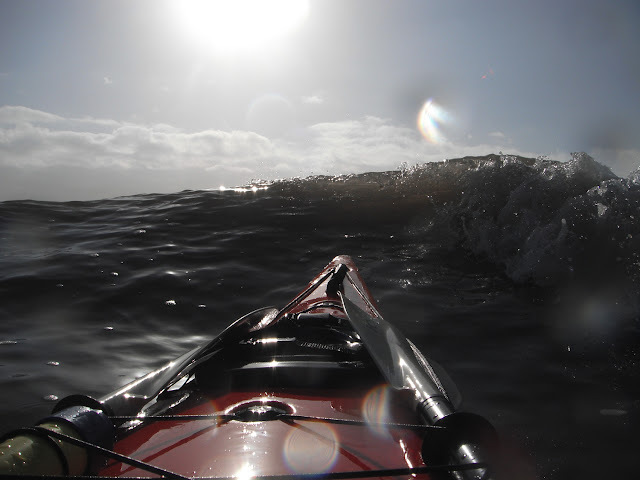 An exhilarating day's paddle though I really need to practice my Surfing!